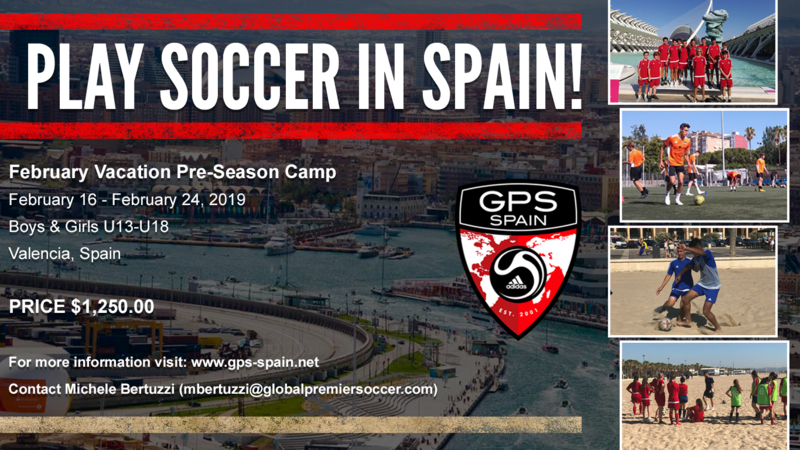 One more year we have an incredible opportunity in February for GPS Players Boys and Girls aged 14-18 to come to the Global Premier Soccer Spain Spring PreSeason Training Camp in Valencia at the home of the GPS International Academy and GPS Spain Headquarters. Closing date for application is November 30th. $100 discount for registering before October 15th.